Discovery is the process of disclosure and inspection of relevant documents in litigation or arbitration. It has traditionally been a paper-based system and as a result of technological advances in communications, the current system is now out dated. The Irish judiciary have recognised that the current discovery procedure has become unsuitable. A recent Court of Appeal decision saw Mr. Justice Hogan describe the current discovery procedure in Ireland as a “crisis”. 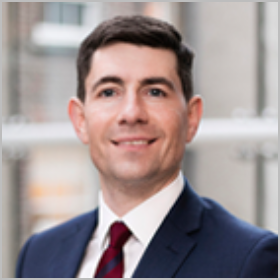 A review group has been set up, chaired by Mr. Justice Peter Kelly which is expected to deliver recommendations this year on how to improve efficiency and reduce the cost of litigation in Ireland, with a particular focus on the law of discovery. What recommendations could be made to modernise the current discovery system in Ireland? A new UK practice direction that commenced on 1 January 2019 may identify some possible improvements. It introduces a scheme intended to radically reduce the time and costs associated with a wide ranging “standard disclosure” request by offering a menu of alternative disclosure options. Details of the scheme and commentary on whether it could be applied in Ireland are outlined below. This two-year scheme which is to be piloted in the UK’s Business & Property Courts aims to modernise the existing disclosure process and reduce the costs associated with extensive discovery, particularly in respect of materials stored electronically which can often result in the production of an unmanageable volume of data. Once proceedings have commenced, a party will be required to disclose known adverse documents (other than privileged documents) that it is aware of, which may contradict or materially damage it’s claim or defence or may support the version of events maintained by the opposing party. Initial Disclosure: A new, “light disclosure” step, which obliges the parties to provide a list of, and disclose any documents that it intends to rely on to support its claim or defence. It is delivered with the statement of case and can be dispensed of entirely, by agreement or by the court. A joint Disclosure Review Document aimed at bringing the parties together to identify, discuss and try to agree which issues might require extended disclosure. If a party seeks disclosure, wider than the initial disclosure process, an extended disclosure request may be made from a selection of disclosure options, including an option akin to the existing procedure. The court may guide the parties on any disclosure issues in dispute and may also direct the use of specific discovery software or methods of de-duplicating documents. Parties are subject to a new express duty, discouraging the delivery of irrelevant documents, a significant step to prevent the practice of “document dumping”. Failure to comply may result in an adverse costs order. The success of such reforms will depend on lawyers recognising when lighter, more limited discovery options are suitable. Perhaps the introduction of a sophisticated range of disclosure standards might have the undesirable effect of actually increasing legal costs. If the UK pilot scheme is a success however, we may see the introduction of similar procedures in Ireland. Judge Hogan’s recent comments are welcomed as it is clear that the Irish judiciary recognise the need for reform in this area. Procedures which encourage engagement between parties and ultimately reduce the issues in dispute should be encouraged as this often saves on time and costs.